At the Wilson Chamber of Commerce, we recognize and appreciate the contributions made by our small businesses to our local economy. In fact, a large majority of our membership is made up of small and medium sized businesses. We're committed to seeing them prosper, and want to make sure they are able to take advantage of every opportunity to succeed. Listed below are tools available to small businesses and entrepreneurs in Wilson. This list is by no means exhaustive, so check here frequently for updates. Furthermore, we understand the constraints many small businesses face, so many of the programs and services listed here are FREE. Please call us if you need more information, or know of a resource that should be added. BLNC offers a central resource for issues common to all small businesses across the state, including: customized licensing information, employer and business structure forms, referrals to state occupational licensing boards, and the Office of the State Small Business Ombudsman. Business counselors offer free, one-on-one advice by calling (800) 228-8443. CSBDF provides small business loans and business services to start-ups and existing businesses in North Carolina. As a statewide nonprofit Community Development Financial Institution (CDFI), the focus of CSBDF is on supporting small businesses in underserved areas. Their mission is to foster economic development by providing capital, business services, and plicy research to support small businesses. ECU's Entrepreneurial Initiative mainly provides support for start-up companies that are introducing new technologies or processes. The EI will also advise companies for possible venture funding. Eligible businesses must be referred by an Economic Developer, and/or Small Business Center (SBC) or the Small Business and Technology Development Center (see below). Contact: Marty Hackney, Director (252) 737-1345. Located at the University of North Carolina's Kenan Institute of Private Enterprise, E-TAP pairs promising hi-growth companies with some of the school's brightest MBA students. Students are selected based on prior work experience and a passion for entrepreneurship. The program aims to help start-ups and existing hi-growth businesses in economically distressed communities. Selected companies have the potential to grow and are in a range of industries from tourism to manufacturing. Contact: Elizabeth Basnight, E-TAP Manager, (919) 962-8201. NCIMED is a nonprofit management consulting and services firm focused on business diversity. The Institute includes trusted advisors to businesses large and small, government agencies, policymakers and organizations that understand the key role diversity plays in ensuring business and economic success. NCIMED is also home to the Women's Business Center of North Carolina. Contact: Maggie Givens, 919-956-2310. The NCMBC Mission is to leverage military and other federal business opportunities to expand the economy, grow jobs and improve quality of life in North Carolina. 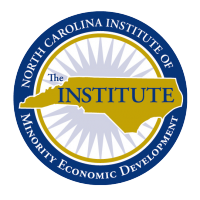 Their goals are to increase federal revenues for businesses in North Carolina; support the integration of transitioning military, family members, and veterans into the North Carolina workforce; and to support recruitment of defense businesses in North Carolina. This is the place to start for most small businesses. 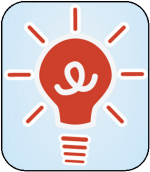 Here you will find access to no-cost business counseling services, free seminars and workshops, and referrals to a number of other small business resources. Contact: Melissa Evans, Director (252) 246-1232. The SBTDC has full-time professional staff offering free services in the following areas: Business & Management Advice, Financial Assistance, Financial Analysis, Marketing Assistance, Research, Strategy Development & Implementation, and Leadership & Employee Performance. Contact: Carolyn Wilburn, Director (800) 258-0862. The BDC is an entrepreneurial business incubator serving startup and existing small businesses in the Upper Coastal Plain Region of Eastern North Carolina. The center offers below market-rate, turnkey office space equipped with all the startup essentials, so you don’t have to worry about setting up and contracting for telephones and fax, utilities, Internet, copy center, or receptionist. 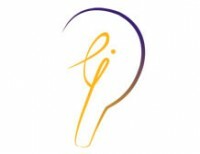 Contact: Olga Abrams, Acting Manager, (252) 234-5951. 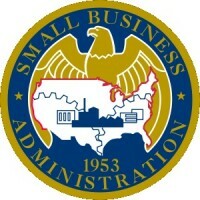 The SBA is an expansive federal agency whose mission it is to id, counsel, assist and protect the interests of small business concerns, to preserve free competitive enterprise and to maintain and strengthen the overall economy of our nation. Local offices help small businesses navigate federal issues such as grants and loans, inports/exports, and government contracting. Contact: North Carolina District Office - Charlotte, (704) 344-6563. 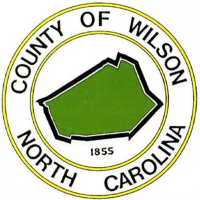 For businesses operating INSIDE the corporate municipal boundaries of the City of Wilson OR its extraterritorial jurisdiction, the staff at the City of Wilson can help you navigate most local regulatory and service matters, including: zoning, permitting, privilege licenses, setting up utilities, etc. To determine if you are subject to city regulations and/or services, contact the Development Services Department at (252) 399-2219. 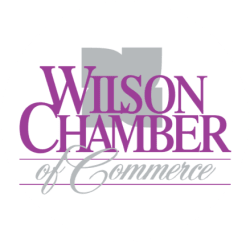 For businesses operating OUTSIDE the corporate municipal boundaries of the City of Wilson AND its extraterritorial jurisdiction, the staff at Wilson County can help you navigate most local regulatory and service matters, including: zoning, permitting, health inspections, etc. To determine if you are subject to county regulations and/or services, contact the Planning & Zoning Department, (252) 399-2847. 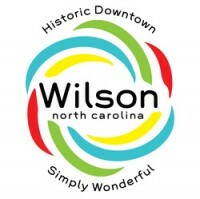 Historic Downtown Wilson is a North Carolina Main Street Community in recognition of achieving standards for downtown commercial district revitalization. For new or existing businesses interested in relocating to Historic Downtown Wilson, the staff at WDDC can help you find a location for your venture, navigate the development process, and apply for a number of local, state, and federal incentives, including: Historic Preservation Tax Credits, New Market Tax Credits, Mill Rehab Tax Credits, and Film Tax Credits. For more information contact the Downtown Development Division at (252) 296-3464.